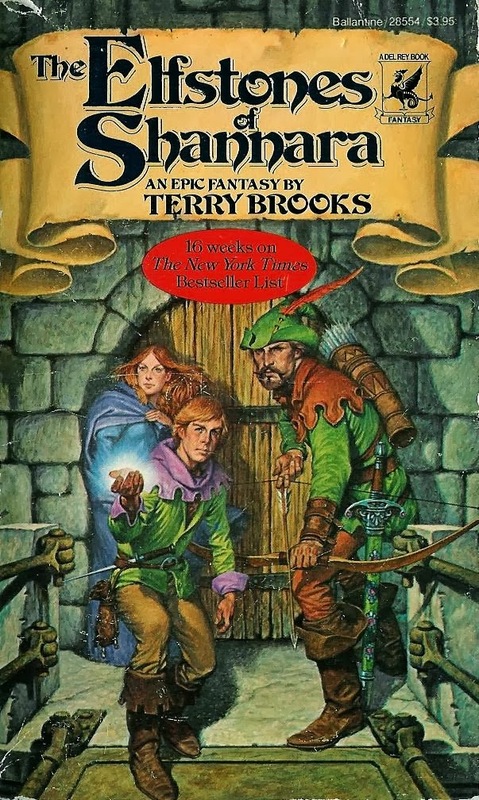 In one of MTV‘s most ambitious moves on the scripted side since Susanne Daniels became president, the network has given a script-to-series commitment to Shannara, a drama series based on Terry Brooks’ popular fantasy books. The project, from Sonar Entertainment and Farah Films, has Iron Man helmer Jon Favreau on board to direct and will be written by Smallville creators Al Gough and Miles Millar. The trio will executive produce with Brooks and Dan Farah (The Crow remake). If MTV likes the script, it is expected to give the project a straight-to-series order. Shannara reunites Gough and Millar with Daniels, who developed and put Smallville on the air while she was entertainment president at the WB. “I am thrilled to be working with the Smallville creators Al and Miles again along with the amazingly talented Jon Favreau,” Daniels said. “We feel that the Shannara novels are a perfect fit for MTV as this type of fantasy genre has continuously proved to resonate with our audience.” Shannara is set in our world, thousands of years after the destruction of our civilization. The story is centered on the Shannara millargoughfamily, whose descendants are empowered with ancient magic and whose adventures continuously reshape the future of the world. The first season of the potential series will be based on The Elfstones Of Shannara, the second title in the series — a fan favorite accredited with cementing the series place in the fantasy world. The book series features plenty of young-adult adventure and romance to suite MTV’s target demographic. Shannara also would be compatible with MTV’s only successful drama series so far, Teen Wolf, which also has supernatural elements. Shannara‘s road to the screen started years ago when Farah teamed with Brooks to explore an adaptation. It was first set up at Warner Bros as a feature in 2007 before the duo decided to pursue a series adaptation and teamed with Sonar last year. The plan was to attach an established showrunner and director before taking the project to the networks, which the producers did by bringing in Favreau and Gough and Millar. The Shannara development deal was one of the first major moves for then-new Sonar CEO Stewart Till as he took over the company when it was renamed from RHI Entertainment following the exit of founders and longtime toppers Robert Halmi Jr. and Robert Halmi Sr. While RHI was known mostly for its TV movies and miniseries, Sonar signaled a push in series by financing the development of Shannara. “The deal (with MTV) reflects Sonar’s emerging strategy to become a leading supplier of groundbreaking series programming,” Till said of the project’s network sale. Like most independent production companies, Sonar appears particularly is interested in the direct-to-series model, which has a bigger financial upside. Brooks is the second-biggest-selling living fantasy book writer, after Harry Potter author J.K. Rowling, with the Shannara books estimated to be the highest-selling fantasy book series in the world that is yet to get a screen adaptation. The first book in the series came out in 1977, the two most recent were published this year, and three more are scheduled for 2014. “The adaptation of these books is very important to me, and I believe we are on the right track in our endeavor to create an epic television series that both new and old fans of the books will love,” Brooks said. On the TV side, Favreau directed the pilots of NBC’s Revolution and About A Boy. If they are looking to cash in on the immense success of HBO's Game of Thrones, I doubt that their audiences will overlap much. But given the legions of fans of LotR, if done well this could be another quality fantasy TV series. Worries me they are starting with the 2nd book. The Sword of Shannara would be great to see properly done as a series. That they are starting w/Elfstones makes me think they are not really interested in making an epic fantasy TV show. Instead they are going to go cast pretty, young people in the leads and make this a fantasy themed episode of Glee.